Republic day throughout India. It is traditional sweet dish which is impotent part of lots of festival and celebration. Traditionally it is made from all purpose flour which fried in oil and soaks in sugar syrup. Jalebis though mostly eaten by themselves, can also be soaked in warm milk. This thin and crispy, chewy texture with a crystallized sugary coating jalebi is a special treat to enjoy this festive season. This traditional Indian sweet is often enjoyed with rabri. 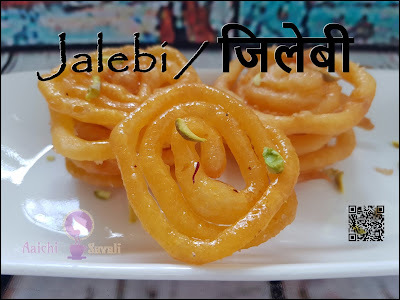 Today I have prepared an instant and easy version of jalebis. No use of yeast, curd. So give it a try and let me know. 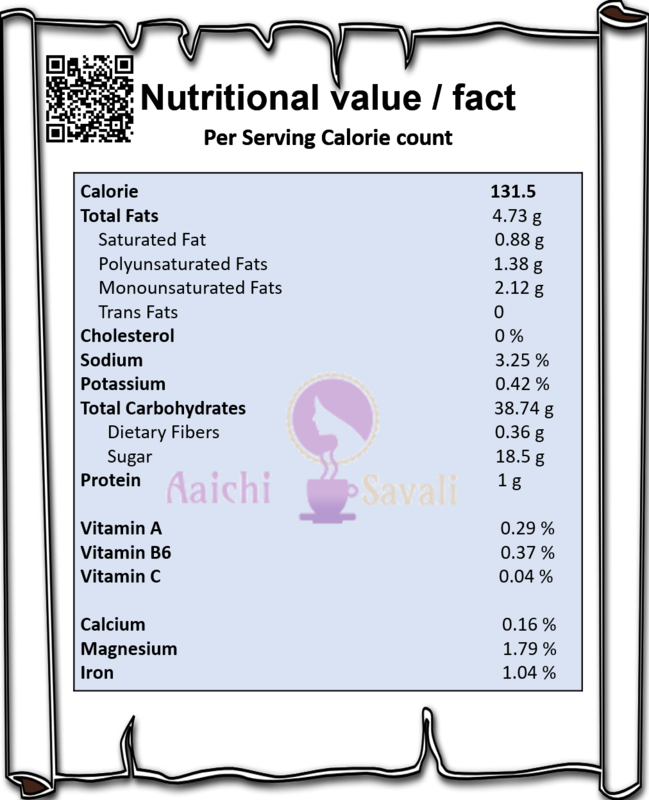 Each Jalebi Contains 131.5 Calories. Veg.oil / Ghee for frying the jalebis. 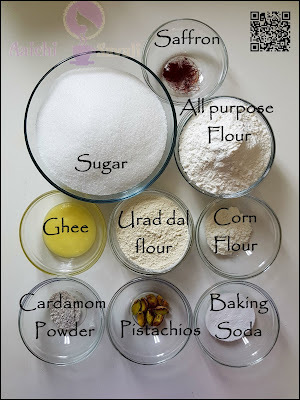 In a bowl add maida, corn flour, urad dal flour, Eno fruit salt, ghee and mix all very well, mix till it resemble like bread crumbs. Now, by adding water prepare batter, batter should be flowing consistency (nighter watery nor hard). Combine the sugar 2 cup with water 1 cup together in a deep pan and cook on a medium flame till the sugar dissolves, while stirring continuously. Add saffron, orange food color and cardamom powder. Keep the syrup warm and cook for more 2 minutes. Heat the oil in a broad saucepan. Fill the jalebi batter into a piping bag or in a ketchup bottle. Press out round whirls of the batter into the hot oil working closely from outside to the centre of the whirl or vise versa. Deep-fry the jalebis till golden brown from both the sides and transfer immediately into the warm sugar syrup and drain after 2 to 3 minutes. Tadaa, quick and delicious jalebis are ready to serve. Enjoy!!! If you didn't get urad dal flour then just grind urad dal and you will get your own homemade urad dal flour. Adding orange food color is totally optional but it will help you to give your jalebis a very good color. If you like your jalebi too sweet then keep in sugar syrup for more than 3 minutes. If you won’t get perfect shapes in first attempt as the jalebis keep on moving while you make the circles. you need to be quick and this does require some practice. If you don't find ketchup bottle or piping bags, just use a plastic bottle with a small hole in the lid to fill the batter. Per serving contains 131.5 calories, along with carbohydrates - 38.74 g, fats - 4.73 g, proteins - 1 g.
It's good to eat jalebis as a dessert.